Samantha + Jesus are so playful and adventurous. They’ve been together since sophomore year of high school. 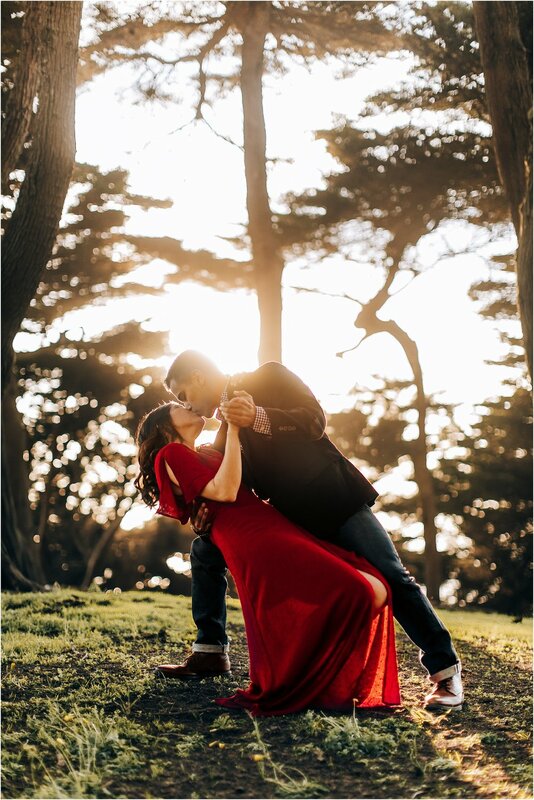 They dated long distance in college and a few years later, he asked her to marry him in San Francisco after midnight on New Years. 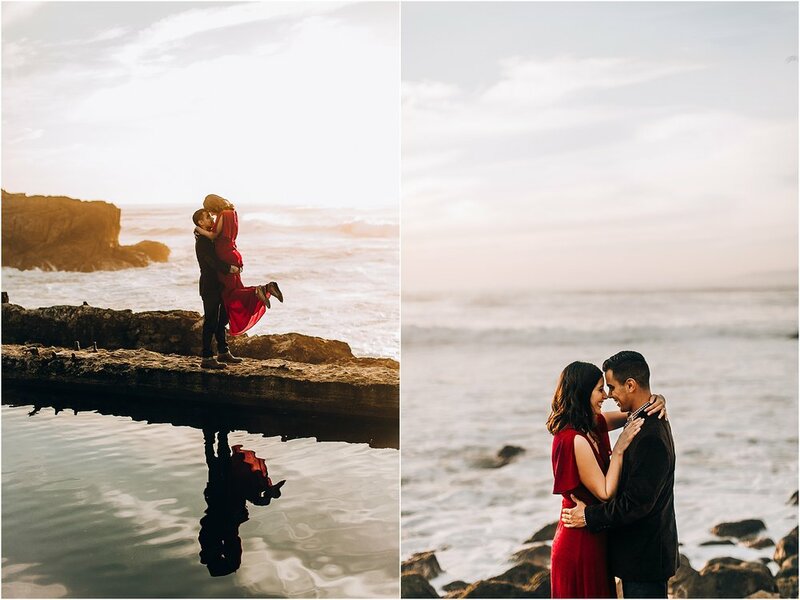 Because San Francisco has so much meaning to these two, we did their engagement session in the prettiest places there. Keeping the boat in the right place and taking photos at the same time is a struggle and quite funny. They were THAT couple out in their boat, the couple that everyone stairs at in aw ‘cause they’re so darn cute. After the boat portion of the session, we drove to the Sutro Baths. And you would never know, but there were crowds of people flocking to the Sutro Baths to watch the sunset at the same time we were there. Thankfully, we found spots that escaped the crowds. 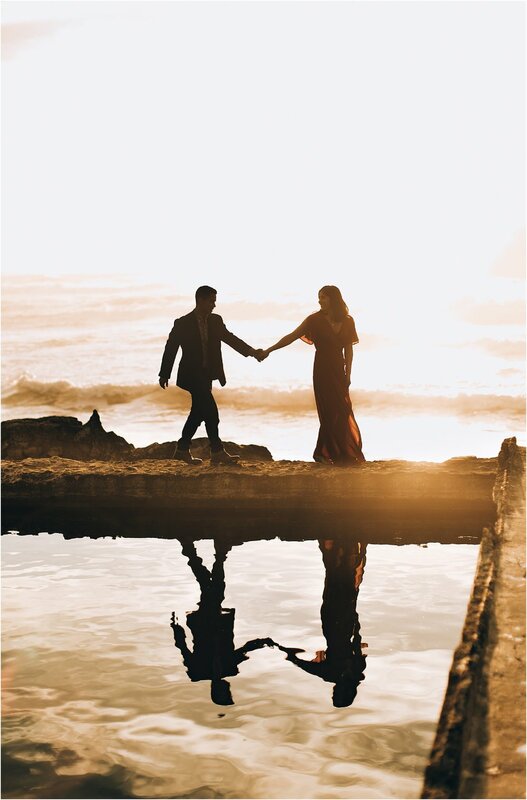 I couldn’t have been more pleased with this engagement shoot. Check out some of my favorites below!